Adore the gray walls and white trim of this entryway. The wood floor and entry door warm the entryway right up! 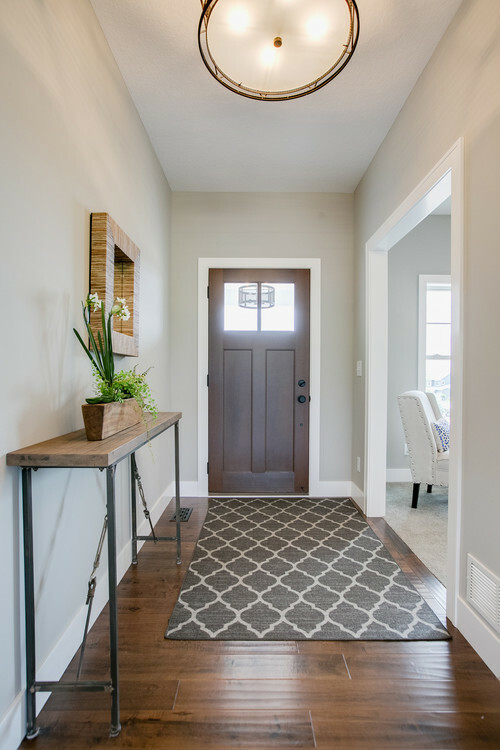 Thank you for joining me on this tour of modern farmhouse entryway ideas!